Motorola SmartPhones Android 8.0 Oreo Update: The Motorola, one of the strongest competitors in the budget smartphone segment in India, has always had the USP of bringing the latest Android update very soon to its devices. 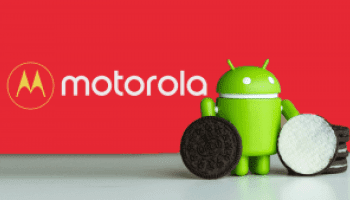 Following this, the company has now officially announced the list of Motorola smartphones that are set to receive the Android Oreo update starting this fall. The latest version of Android, Android 8.0 Oreo, claims to offer features like faster app load times, longer battery life, smart text selection, split-screen, customizable notifications, password supports and the latest Google Play Protect to ensure better security on the Android devices. For now, Motorola has restricted the Android Oreo update only to its latest devices, skipping the Moto G4 series and other such older Motorola offerings. Chances are, the devices not listed here might not get the update at all.Stay tuned for updates on Motorola software upgrades here, including details on the specifics by country or carrier.